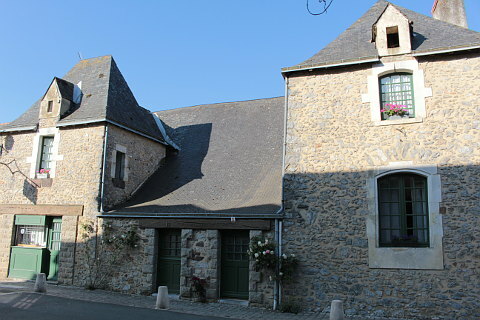 Saulges is a small village situated in the south of the Mayenne department (region Pays-de-la-Loire) between Laval and Le Mans. The village is listed as a 'little city of character' and also has been awarded 3* as a 'town in bloom'. 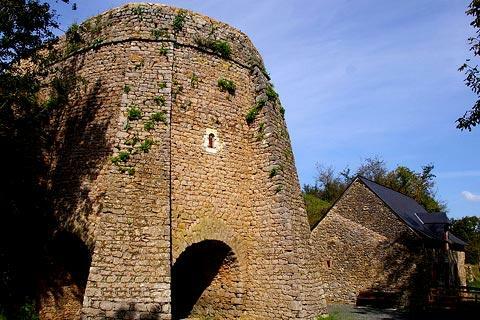 Saulges itself has a few sights of interest, including a sturdy 19th century limekiln, a traditional washhouse and two historic churches which are the highlight of your visit. 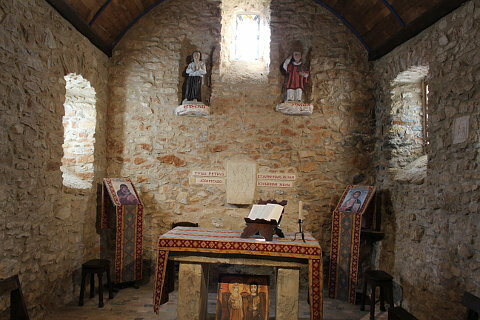 The Church of Saint-Pierre in the centre of the village dates in part from the 8th century, making it one of the oldest churches in the region. 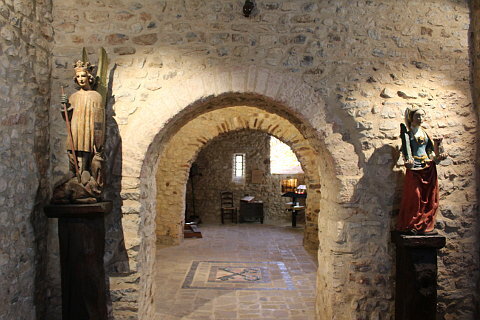 Access to the older church is through a 16th century chapel and really is not to be missed. 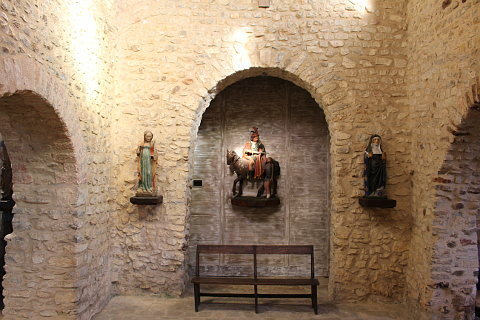 Inside the lovely interior are lots of painted statues of saints traditionally venerated during pilgrimages. There is a painted statue of Saint-Cenere and a decorative box containing the relics of the saint and a painted altarpiece. Inside the 16th century chapel there is a fine wall painting dating from soon after the chapel was built but only rediscovered in 1960 and restored in 2011. 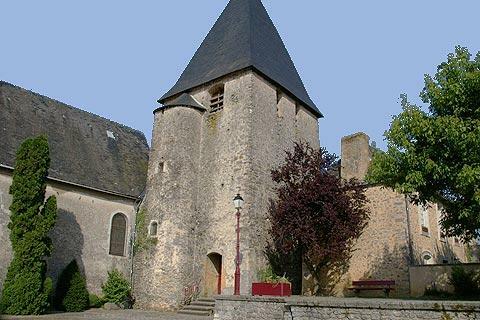 The Church of Notre-Dame dates from the 11th century, is in the roman style and well known for its ancient altarpeices. It is also noteworthy for its large bell tower. Inside there is a 15th century statue of the Holy Trinity and a statue of Saint Louis. 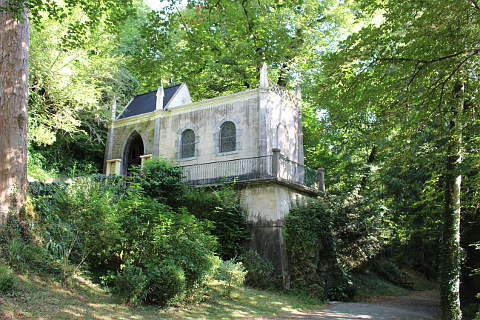 The oratory of Saint-Cénéré can be visited in a quiet location on the Erve riverjust outside Saulges. 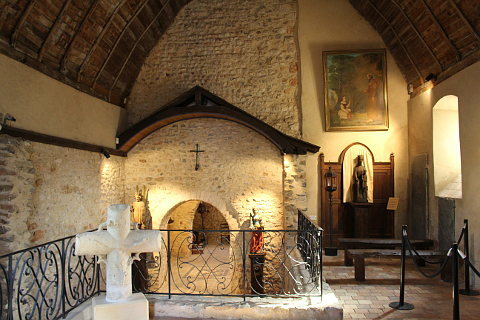 The building we see today dates from the 19th century, but the location has attracted followers of the Saint since the 7th century, and even today locals visit the site each 21st July, the anniversary of the death of Saint Cénéré in 680. Saint Cénéré arrived with his brother Cénéri in Saulges in 649. He is reputed to have caused a miraculous spring to appear near to the Evre river in the place where the oratory was built in his honour. His brother Ceneri settled in the village of Saint-Cénéri-le-Gerei, named after him for the miracles he is said to have inspired. 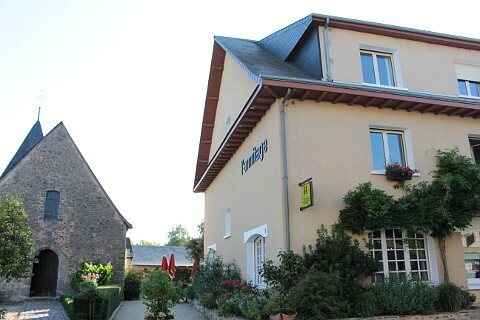 Saint-Cénéri-le-Gerei is a "most beautiful village of France". Most visitors are attracted here by the Saulges Caves, a group of numerous related cave systems some of which were inhabited in prehistoric times and have decorated walls from that era. Two of these are now accessible by the public, the Grotte de Rochefort and the Grotte à Margot, with access in a very picturesque setting on the riverside in the 'Canyon de Saulges' (there is a short marked trail that introduces some of the most interesting characteristics of the region). 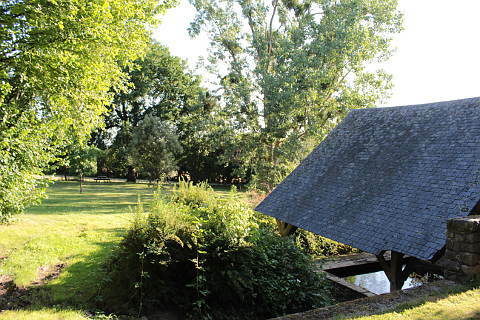 There are various places of interest to visit nearby, with our favourites including Sainte-Suzanne a few kilometres north of Saulges and the medieval heart of Le Mans to the east of the village. We were also struck by the picture-postcard charm of the nearby village of Asnieres sur Vegre whose church has some impressive frescoes.